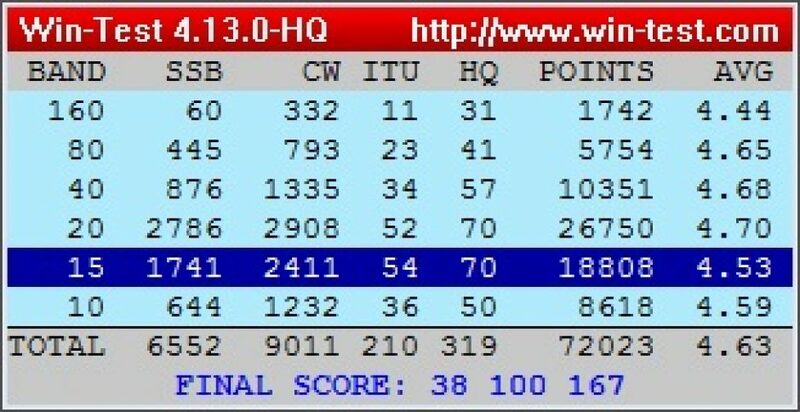 It is with great pride and joy that team C4HQ 2015 has been informed today of the official results of the IARU HF Championship 2015, and that the team has set a new world record of 37,160,322 points in the HQ category! The team C4HQ score difference from second place finisher TM0HQ was almost 30%! 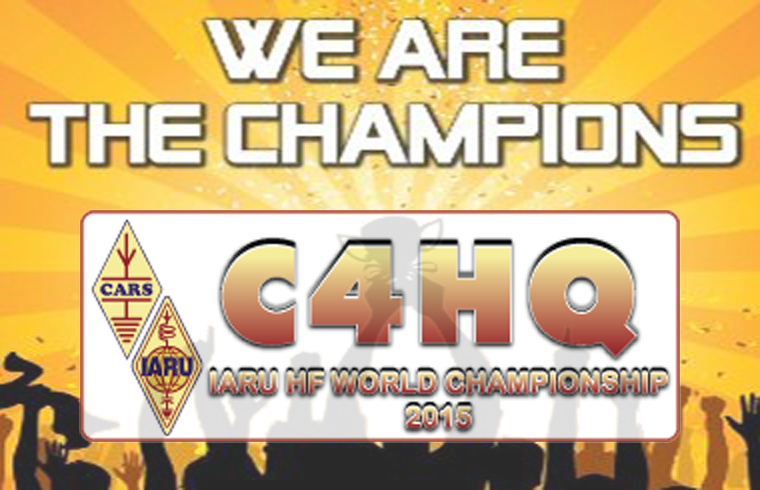 Team C4HQ is very happy to announce they have achieved their goal of 16000 QSO’s during the 2015 IARU HF Championship. The team considers this a major achievement given the average propagation conditions. 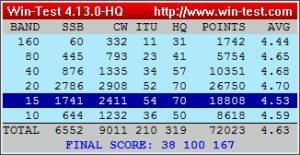 Taking into consideration duplicate calls, the final tally rose to 15563 QSO’s, and 38,100,167 points, shattering last year’s record of 34 million. Assuming other participants did not do as well, this may well constitute a new all time record! A fantastic job from the whole team! The C4HQ Team effort had not gone unnoticed from the local news media. Coverage of the participation to the 2015 IARU HF Championship was performed by two TV channels on their prime time evening news program, and a Radio channel on a prime time radio chat show. All three channels offer island wide coverage. The segments aired are available from the links below. They are currently in Greek, however English captions will be added shortly. Posted in About	| Comments Off on C4HQ Team achieves goals! 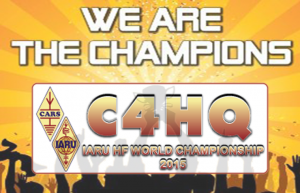 The Cyprus Amateur Radio Society (CARS) has endorsed the participation of a HQ station in the IARU HF World Championship 2015 contest (rules) with the special contest callsign C4HQ. The objective of the contest is to contact as many other amateurs, especially IARU member society HQ stations, around the world using the 160, 80, 40, 20, 15 and 10 meter bands. This will be the third entry of a CARS HQ station in the contest, the previous two being in 1999 and 2009 as H2Q.